Not finding what you want? Reach out directly to our receptionist to assist you with any other questions by calling 812-858-3937. How much are eye exams? If not covered by insurance, comprehensive eye examinations are $104. With insurance coverage, you exam may be subject to a small copay or may even be covered in full depending on your individual plan. If eye exams are covered by your insurance, there may or may not be copays that are pre-determined by your individual plan. Keep in min, there is also a portion of your exam that is non-billable to insurance that covers the expenses of your Optomap retinal imaging. Should the doctor discover a need for further evaluation, it will be offered on a per-test basis. Can I get an appointment today? If you are in need of same-day appointment, please contact our receptionist at (812)858-3937 to see if Dr. Meyer has an open slot available. On many occasions we do have same-day availability, but if we do not, it is usually only a matter of a couple days before we may have the pleasure of seeing you. How long before the next available appointment? We can usually allow you to see our doctor within a couple days, and depending on our schedule we can offer same-day exams. You may contact our receptionist at (812)858-3937 to help provide you with the best option to fit your schedule and specific needs. Why are my eyeglass and contact lens prescriptions only good for one year? These expirations are determined by the State of Indiana, and were established with your overall wellbeing at heart. Although you may not think your vision has changed, regular annual exams are the only sure method of maintaining good vision and eye health. There is a broad range of costs for eyewear depending on your particular visual needs. The most basic eyewear with a simple frame and lens can be very affordable, while a top-of-the line designer frame with high definition optics can cost several hundred dollars. We offer options for every budget, and some of these features are unavailable elsewhere. 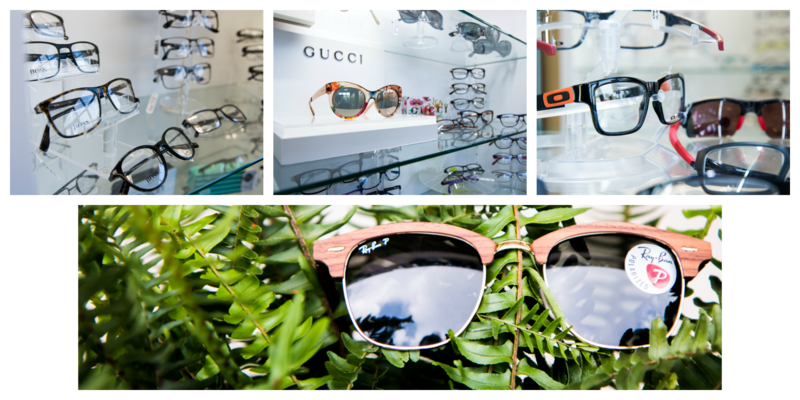 We respect your desire to discover your best value, and we invite you to discuss your budget with our opticians. We have years of experience maximizing insurance benefits and medical flexible spending, and will work within your budget. Ask about our second pair discounts as well! Can I get a copy of my eyeglass prescription and take it to be filled elsewhere? After receiving an eye exam you are entitled to your eyeglass prescription for a period of 1 years and we are happy to provide it. We respect your desire to shop and put up no barriers to you receiving your prescription. We do, however, provide some warning for those shopping around. We regularly find ourselves consulting on poorly made and poorly fitted glasses, as well as poorly recommended lens options that do not meet the patient’s specific work needs. Why is the contact lens evaluation fee separate from the comprehensive eye exam fee? Comprehensive eye exams include tests that determine general eye health and refractive status (i.e. eyeglass needs). Contact lenses are medical devices that may have certain health implications if not prescribed correctly. Your doctor must invest additional time and expertise to determine which contact lenses are in a patient’s best vision and health interest and, as you might imagine, there are additional fees for this service. Note: Sometimes this requires additional follow-up visits as well. Why do I need to be evaluated every year for my contact lenses? Contact lenses come in “contact” with the delicate surface of your eye and, over time, can change the status of the health of your eye. Contact lenses are also considered “medical devices” as they are directly placed on your eye; this means an evaluation needs to be done every year even if the prescription does not change. Most health conditions that contact lenses can be responsible for causing do not result in obvious symptoms like pain or vision change – only your doctor can determine if contact lens wear continues to be safe with your most recent prescription. Most experienced doctors agree that one year is a suitable amount of time between checkups to ensure your eye health, given you are relatively symptom-free. What's the difference between my eyeglass prescription and contact lens prescription? In other words, why can't I just order contact lenses based on my eyeglass prescription? The main reason is that contact lenses are medical devices that come in contact with the delicate surface of your eye. 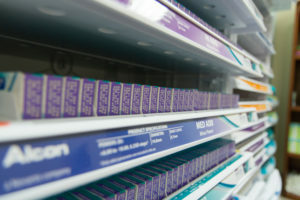 Consequently, determining your contact lens prescription requires a more comprehensive approach and specialized expertise. Contact lenses require many other numbers that together qualify as a prescription. Contact lenses have information on the refractive status, the curve on the front and back of the lens, the diameter, the thickness, the material and possibly other parameters. Eyeglasses, on the other hand, have information on the refractive status of the eye alone the “numbers”. What's the difference between a standard contact lens therapy and a premium contact lens therapy? Standard contact lens therapy involves correcting vision for one standard challenge such as nearsightedness and farsightedness. Contact lens therapy that requires treating astigmatism, bifocal vision or other special conditions require deeper knowledge and more time invested on your behalf. This level of therapy is deemed “premium” and, subsequently, result in a different fee level. How much are contact lenses? Each brand of contact lens has its own related price, but generally our prices are matched to what you might find anywhere. We will even compare prices online for you when upon checkout to ensure you are getting the best deal possible. We also offer value-added services for patients who purchase their year’s supply from our office. We also provide services like easy box return and/or exchange, and free trial lenses when you’re running low (for patients who purchase their year’s supply from us). Is it cheaper to buy my contacts online? So while our contact lens prices are similar to – and often less, than – those you found online, you’ll save approximately $10 on shipping, and up to $100 with our rebate. Many of our patients present to our office with a vision plan to cover their annual eye examination. Often vision plans are an optional “addition” to your medical insurance. What vision insurance do you accept? For those of you who may schedule your visit under your medical insurance. What is the difference? Vision insurance may offer to pay for the majority of the cost of a routine eye exam when blurry vision, eyestrain or headaches may be the problem. A routine eye exam is when your doctor checks your vision, analyzes your eyeglasses/contact lens prescription and evaluates your entire eye health. Vision insurance may also cover some of the cost of materials, such as glasses or contact lenses. The frequency of your vision insurance coverage is typically limited to one exam per year. Medical insurance may offer to pay for the majority of the cost of a non-routine exam, in other words, there must be a medical problem in order for your medical coverage to apply. Medical conditions can be anything from dry eyes to sight-threatening eye disease. Medical insurance is used when your doctor needs to perform more testing, special diagnostic procedures, or a follow-up visit to monitor a condition. It covers as many visits and follow-ups as required for medical causes of blurry vision such as dry eyes, cataracts and glaucoma. If you do not have vision coverage, and choose to schedule your visit under your medical insurance, you will be responsible for exam fees if no medical diagnosis is made. What medical insurance do you accept? 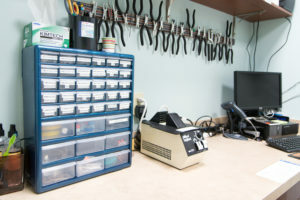 Follow the link below to request an Appointment! After scheduling my appointment for me and my 4 year old son the front office called to make sure they had all of my information and insurance correct so they could check my benefits. Once we arrived the staff was friendly, professional, and the facility was clean. The staff was very caring and good with my son. Dr. Meyer was also very informative and detailed in his explaination/education of the photos of our eyes. He explained to me that I could get some glasses to clear up the blur caused by an astigmatism I was unaware I had. He was not “pushy” in terms of making me feel I needed glasses but gave me all the information to make an informed decision! He was amazing with my son and very funny. I highly recommend this eye doctors office. They were great! The leading provider of quality vision care products and personalized optometric services in Newburgh. 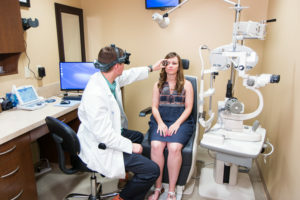 Schedule an appointment with Dr. Christopher Meyer at Family Eye Care of Newburgh, and give your vision the level of care and attention it deserves.